The Double Space–Liner is an outdoor robust litter collection orderly barrow which allows for the collection and segregation of two different waste streams. 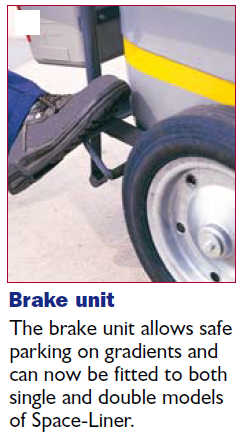 Ideal for Local Authorities. Space-Liner can be used for litter collection and segregation of waste or for transporting equipment. 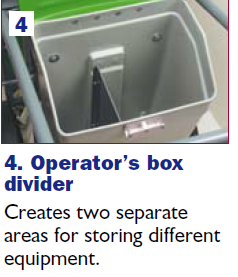 Double Space-Liner can use its two 100-litre containers for segregation of two different waste streams, such as for the collection of General Waste and Mixed Recyclables. 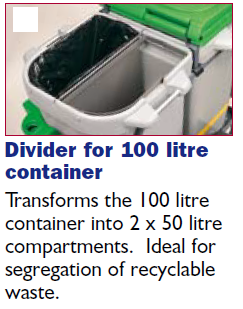 An optional divider is available to transform a 100-litre container into 2 x 50-litre compartments, to suit all types of waste collection. 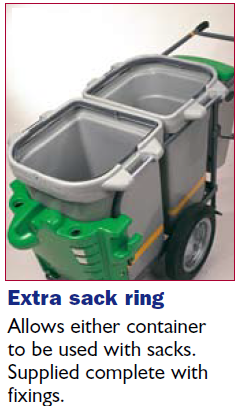 Sack retention system on one container. Lids and front moulding: Red, Yellow, Dark Blue, Light Green. Frame: Mild steel with Armortec® Coating. Main container, lids and front moulding: Durapol® Material. Kuwait City is the capital of Kuwait. It has a population of 2.38 million and is located on the shore of the Persian Gulf. This modern city is the cultural and economic centre of the Emirate, containing their parliament, major corporations and banks.